We just put out a major press release about the SMB Online Conference June 26-28. 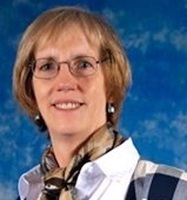 One of the most interesting speakers will be Barbara Dove of Dove Helpdesk. 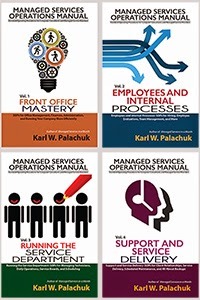 Sacramento, CA, June 6, 2012 – Technology author Karl Palachuk announced that Barbara Dove – a pioneer of IT Help Desk support – will be a featured speaker at the first major Online Conference for Small Business IT Consultants, Managing for Success 2012 in June, hosted by Small Biz Thoughts. She’ll talk about robust email marketing systems that are helping small IT companies thrive during the recession. Dove founded Dove Help Desk in 2003 to provide “outsourced” help desk services to IT service providers. She is the President and CEO. Dove Help Desk is now part of Global Mentoring Solutions, Inc.
Dove has an MBA and ME in Operations Research from Boston University and a BA in Mathematics from Wilson College. She has a black belt in six sigma and is a practiced Total Quality Management professional. With over 15 years’ experience in senior management positions in service operations, Dove has worked in executive and strategic service management positions at various computer and test equipment companies. Other conference speakers include Len DiCostanzo and Matt Makowicz. DiCostanzo is the Senior Vice President of Community and Business Development at Autotask. He is responsible for ensuring the continued success of Autotask’s global client base and identifying, building, and nurturing their strategic industry alliances around the world. 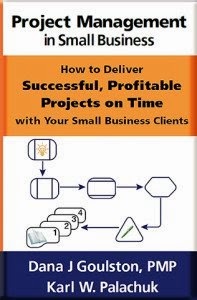 Makowicz is a business coach and the author of three books: A Guide to SELLING Managed Services; A Guide to MARKETING Managed Services; and A Guide to BUILDING a SALES TEAM. Dove Live Expert Help Desk makes your staff more productive by using remote access to quickly diagnose and fix desktop and laptop problems. Dove Live Expert Help Desk helps businesses and IT outsourcing firms become more productive by taking care of mundane computer user issues. Your IT staff will be able to maintain their focus on important projects. Your PC users will get back to work faster and be more effective. You will enjoy fast, knowledgeable, courteous service with every communication. For more information, see www.DoveHelpDesk.com.